My neighbors are doing a bit of remodeling and in the process are trashing old doors from their home. I’ve been taking the doors off of their hands for my own DIY projects. My latest project turned out pretty sweet and it was cheap. 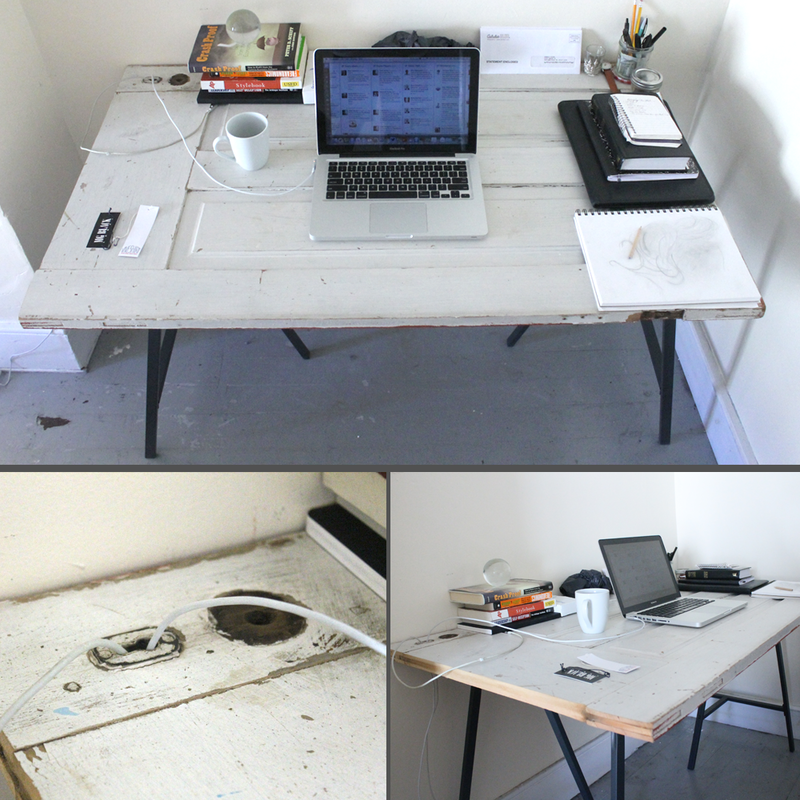 I measured the space I wanted to place my desk. Using a circular saw, I made the appropriate cut across the base of the door. The cut was rough and it wasn’t even all that straight, but for this project beauty is in the eye of the beholder…I think. Let’s be honest, I just wanted to rip through some wood with a saw. I cleaned up the door with a medium grade sand paper to remove any loose chipped paint or splinters. I also wanted to rough up the existing paint a little further, so in some areas I used a little more muscle. I swept off the door to remove any excess dust or dirt, then I wiped it down using Murphy’s Oil and warm water. Simply place the door on top of the legs and BOOM! Ya done good, kid! If you want to look like a true pro, give a local window & glass company a call to get a piece of glass cut to create a smooth surface for your new awesome desk. It even worked out that the old key and lock holes will serve as nice throughways for my charger wires and such. Bonus! Despite my admiration for guitar and the delta blues, I don’t usually write about it, but I’ve recently found success in fine tuning my blues guitar playing with the help of two iPhone apps. 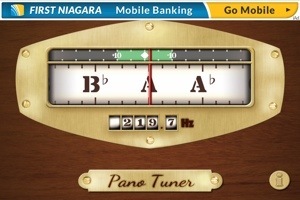 PanoTuner is a very quick way to get your guitar tuned where it needs to start . Tuning is always a pain, but this app makes it seemless. GuitarJamz beginner lessons app will get you up and running on in a few days. 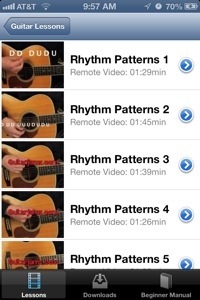 The app’s “host” Marty Schwartz talks you through essential chords and strumming patterns. With just a few lessons under your belt you have enough material to play and practice with. I realized this app or the content within it was special when I drilled into sections that introduced users to highly recognizable blues styles and patterns. In the last couple of days I’ve been able to learn new licks and learn some simple essentials. I felt so strongly about these two apps that I hammered out this post using WordPress (a great app for another day’s post) mobile over breakfast.